Avoiding the crowds by giving to become better people. Every holiday season, in the midst of chaos, you glance at a calendar, stop dead in your tracks and utter an expletive. December is around the corner. You scan the weeks and realize that between Thanksgiving, your kids’ holiday pageants, and holiday office parties, there will be gifts that fall by the wayside, because no human has the time to get it all done. The thought of facing the crowds on Black Friday looking for the perfect gift is overwhelming for everyone. Then, you realize that your back-up plan, online shopping, is no longer a dependable option because even in the 21st century, Amazon gets overwhelmed by the volume of people looking for the right gift. So, naturally, you melt into a puddle of stress and swear off gift-giving. Women For Women International focuses on providing marginalized women in countries affected by war and conflict with a yearlong empowerment program to alleviate oppressive conditions and spur change for herself and her family, in turn, changing the community around her. Perfect for the person in your life who grieves over every injustice done to women across the globe, who considers herself as lucky for the freedom she has and wishes that every woman had her opportunities. 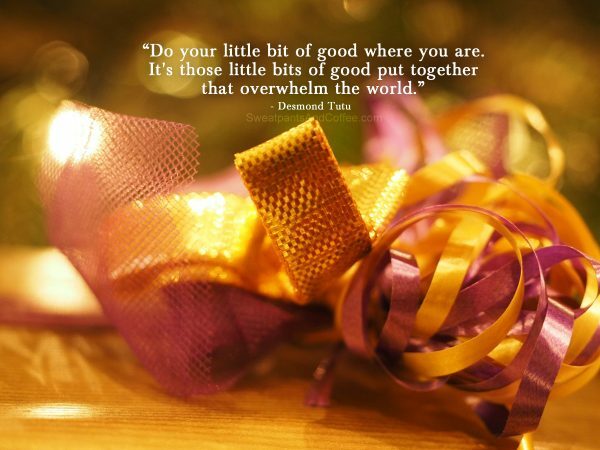 For donations to Women For Women International, click here. FirstBook provides books to children from low-income families in the United States and Canada. They also provide digital access to resources so that literacy can thrive, opening educational opportunity to children who do not have access to it initially. Gift this to the person in your life who loves to read—you know, the one who reminisces over childhood escapes to favorite fantasy lands and wishes Harry Potter was available during his or her childhood, but is happy to have it a handful of years late than not at all. For donations to FirstBook, click here. ShelterBox USA provides aid to victims of natural disasters. The boxes are packed with materials families can use, like strong tents, heavy blankets, new pots and pans, to survive the elements while they wait for food and relief from other organizations. Send this off for the people in your life who complains of too much “stuff,” and the futility of spring-cleaning; they just can’t bring themselves to get rid of those sweatshirts from the ’80s, or those sheets that someone special gave to them. Instead, they can breathe easy about their clutter because they sent off life-saving stuff, with your help. For donations to ShelterBox, click here. Heifer International helps fund projects that bring sustainable incomes (for example, a cow that will provide income instead of a limited supply of milk) to families that suffer from hunger and/or poverty. This enacts a ripple effect, which Heifer International counts on, that implements long-term development that benefit families, and eventually whole communities. For the friends who teach their experiences to everyone in hopes that with knowledge, especially from someone who did it wrong a few times, they can experience things differently, improving their situation. For donations to Heifer International, click here. The Animal Legal Defense Fund (ALDF) aims to uphold and expand the field of animal law by promoting the interests of animals through the legal system. On a macro scale, they hope to lessen, ideally eliminating, animal abuse and cruelty. Gift this to the person in your life who cries during the animal commercials set to Sarah McLachlan—granted, most of us could fall into this category—and hoards rescue animals, hoping to give them a better life. For donations to ALDF, click here. Hope for the Warriors was founded by military wives with firsthand experience of the struggles, and triumphs, of being a military service. They provide support programs to those affected by military service, not only those in combat but their families, too, in order to make transitions easier and provide a sense of community to those in need. Gift this to anyone in your life who has been affected by the military—veterans, wives of active duty members, or those currently in active duty. A huge thank you to those who protect us all everyday, including the holidays. For donations to Hope for the Warriors, click here. These are a few of an enormous list of incredible charities, one for every person in your life. 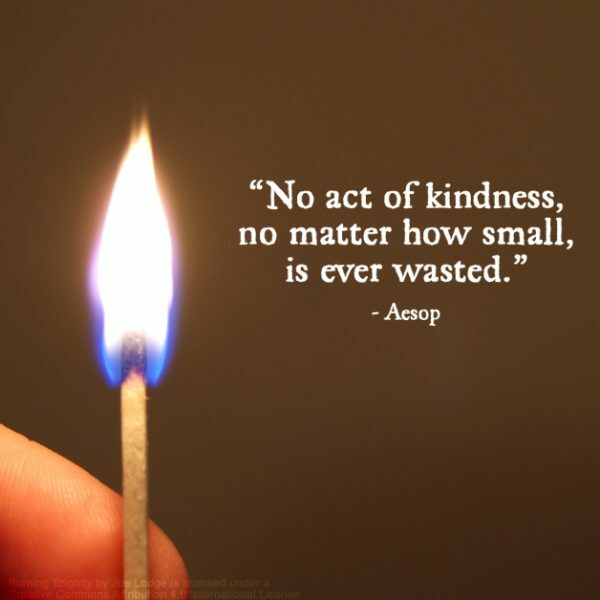 With charitable giving, you can avoid the crowds and start 2016 off with kindness.